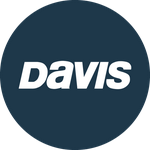 Davis Instruments Support, FAQs and Troubleshooting - Do you have resources or lesson plans for teachers? All Categories ​>​ FAQ ​>​ General ​>​ Do you have resources or lesson plans for teachers? Do you have resources or lesson plans for teachers? We've got a variety of free informational tools to assist you with teaching weather in the classroom. No matter what level you teach, the information provided here will help you integrate hands-on electronic weather applications into your lesson plan. From the Arctic to Patagonia, Davis weather stations are used by scientists and researchers around the world. Durability and accuracy make it the best weather station for the money. Get WeatherLink data logger and software for the ideal weather package. GLOBE compatible. There are many academic and grant resource websites that can put value-added curricula at your fingertips. Browse the selection we've put together below. Global Learning & Education to Benefit the Environment (GLOBE) is a worldwide, hands-on primary and secondary school-based science and education program. GLOBE has developed a protocol for using Davis weather stations. This protocol allows students to use a Davis weather station to collect and analyze continuous weather data for their school. This data can then be transferred to the school's computer and submitted to GLOBE via email. Get details here. This association promotes excellence and innovation in science teaching and learning. WeatherSTEM is a platform integrating weather with education, agriculture, public health and safety, social media, and scientific research. Intended for supplies and materials for small educational projects that involve scientist-teacher cooperation. The document, Case Studies: Use of Electronic Weather Stations as Multiple-Intelligence Teaching Tools (1 MB) features two middle schools that have integrated Davis weather stations into their lesson plans. Weather Underground has a list of resources including Information about the world around you, Climate and Climate Change, Severe Weather Resources, and more. Can I use a cabled console display with a wireless Sensor Suite?